Starting in march 2015, the "We don't care"-tour of The Esprits took a long ride through Germany before having its first highlight on different summer festivals. In autumn, there will be an encore with several festivals and clubshows. 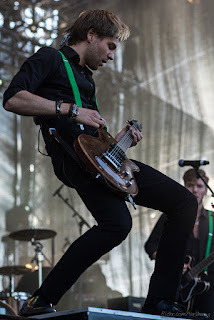 Always in the front of stage and hard in action: Framus Endorser Till Pera.